While it may go by a different word in each country, the concept of “giving” is not contained by borders. 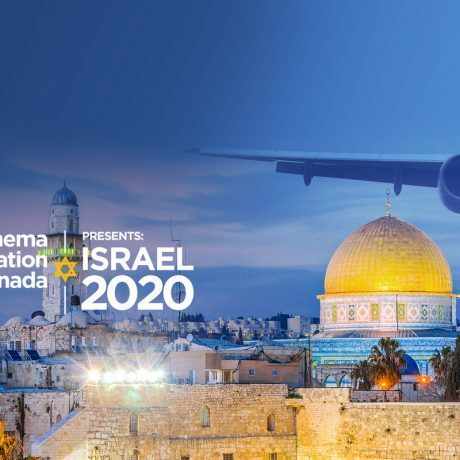 With that spirit in mind, The Rhema Foundation Canada is proud to embark on a new international project in Israel. For the past 11 years, The Rhema Foundation Canada has been supporting the local and global community in the areas of Human Settlement, Health and Wellbeing, and Strengthening the Family Unit. It is the latter pillar that will be the focus of the Foundation’s upcoming trip to Israel in February of 2020. The Israel 2020 trip is a fundraising initiative and partnership with Israeli humanitarian aid organization, Latet (To Give). Established in 1996, Latet’s mission is to provide for the basic needs of populations living in poverty and food insecurity through its national food bank, and numerous aid and educational programs. One of the organization’s most successful initiatives to date has been a food rescue program, which distributed an estimated $30M worth of food to over 60,000 families and 1,000 Holocaust survivors in 2017 alone. With a shared focus on changing and affecting lives for the better, The Foundation aims to raise $20,000 for Israel 2020—the majority of which will go towards the partnership with Latet. To reach this lofty goal, The Foundation is offering donors an opportunity to join a life-changing 11 day trip to Israel itself. Because what better way to support communities abroad than to immerse yourself in their world? The Israel trip will start with a drive along the Mediterranean coast to the seaport city of Caesarea Maritima and then a boat ride through the tranquil waters of the Sea of Galilee. From the sea, visitors will be transported to Nazareth, which is steeped in religious history. Following a float (not swim) in the Dead Sea, visitors will then spend several days in Jerusalem—one of the oldest cities in the world and one that is considered holy to Judaism, Christianity, and Islam. The trip will conclude in historic Tel Aviv with a visit to the awe-inspiring “White City.” Before heading home, travelers will also have the opportunity to purchase and plant a legacy tree in their name of the name of their loved one in Israel. As you leave your footprints in Isael, you can help The Rhema Foundation Canada to leave our own footprint by helping us and Latet bring food security to those in need. To join us for a trip that will change your life, and the lives of Israel’s most vulnerable, visit our website and reserve your spot today.